If you were there, I hope you enjoyed the food and the surprises. If you missed it, I hope you support these wonderful establishments who go the extra mile to give us delicious treats and memorable experiences. 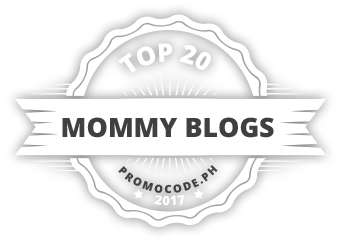 Without further ado, here are TSM’s favorite things for November: my picks for delectable desserts, drinks, savories, and special touches. Every party needs to have a good set of starters. Why not world-class specialty cheese like Jindi Cheese (their Brie and blue cheese are award-winners!) and Cinco Jotas‘ Jamon Ibérico — from only pure breed, acorn-fed Ibérico pigs — known as the best ham in the world. 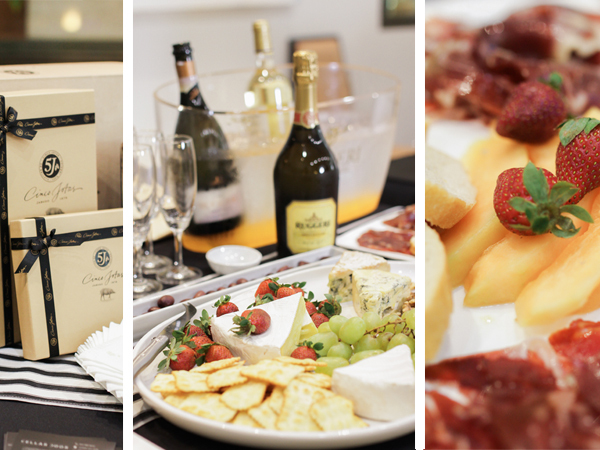 Then bust out the bubbly with a classic Argeo Prosecco by Ruggeri, elegant and delicate… or choose from any of the Artisan Cellar Door’s fine wine selection. Artisan Cellar Door is a wine shop and lounge that showcases a large array of wine from different regions. It also has a butcher area that sells well-known quality beef and pork, and a deli area where you can find world-class cheese and cold cuts. If you want something a bit indulgent, there’s Art of Pie‘s Caviar Pie. It has five layers: roe, cream cheese mixed with onion, smoked salmon, eggs, and another layer of cream cheese with onion — and you must have them altogether on your cracker for a good bite. 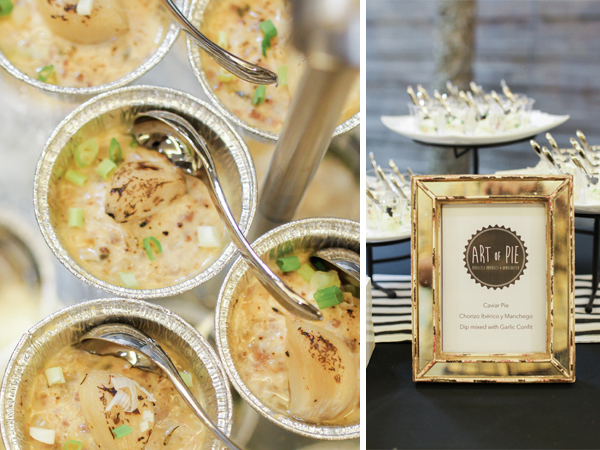 Art of Pie has also created a new dip in time for the holidays, which they shared at the event: Chorizo Ibérico y Manchego Dip mixed with Garlic Confit, which got a lot of praises, we hear! 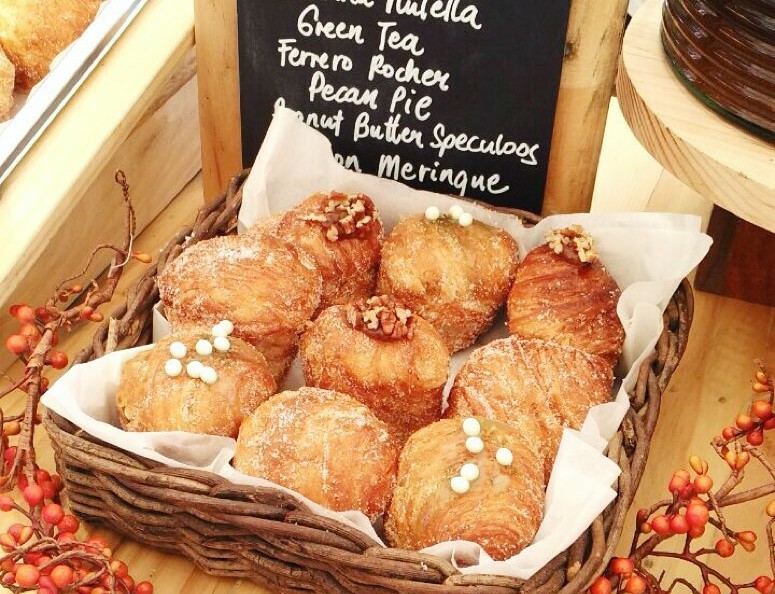 Art of Pie is a one-stop shop of meticulously handcrafted pastries made with the finest ingredients in the market. 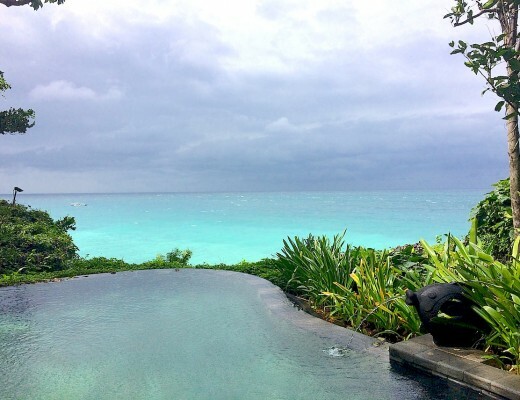 Le Petit Souffle is an all-day dining restaurant spearheaded by award-wining pastry chef, Miko Aspiras and his partner, Kristine Lotilla. 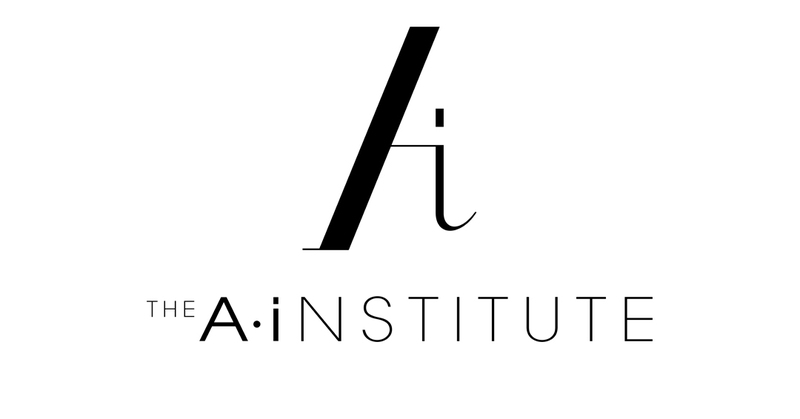 It is a French and Japanese bistro and cafe with a dessert-driven menu that boasts the widest range of Valrhona chocolate soufflés (which I love!) and creative parfaits. Chef Miko and I go way back and I can always count on him for a delightful spread, whethere it is something savory, like Foie Gras, Macaroni, and Raclette Verrine, or Porc Kebab on Miso Bourguignon Demi Glace… or something sweet, like Manchego Parmigiano Reggiano Cheesecake and Strawberry Watermelon Cake! Scout’s Honor is, first and foremost, a cookie shop and it is best known for its mix-and-match cookie options. 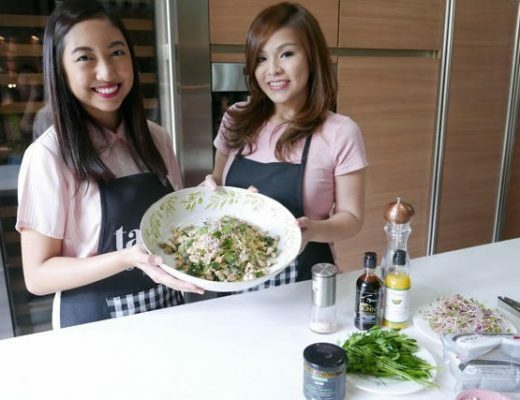 It is another concept by the creative chef partners, Miko Aspiras and Kristine Lotilla. At Scout’s Honor, they aspire to raise cookie couture by adding dessert techniques that are fun, quirky, and delicious. 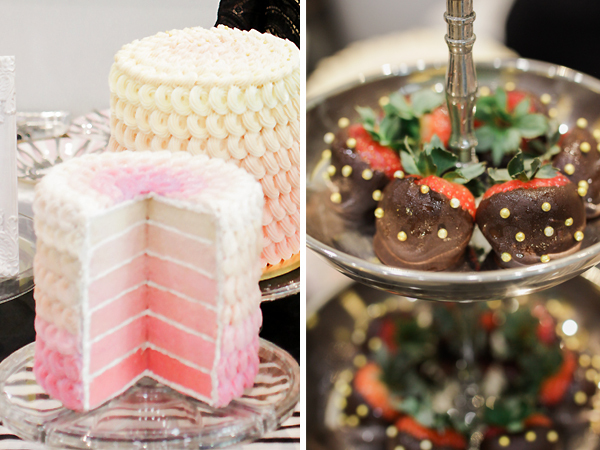 My guests had a chance to try (and see) the humongous Monster Cookies (Dark Salt Chocolate, Strawberry, and Sea Salt)… as well as a special cake made for the event itself: a Rose and Vanilla Grace Cake. Scout’s Honor actually customizes cakes for special occasions, something really worth looking into! One of the most popular pastries these days is a new offering by Cupcakes by Sonja: the Crupcake — a hybrid creation made of a flaky croissant in the shape of a cupcake, and it is utterly delightful. It was so good of them to serve a batch at our event. While Cupcakes by Sonja will always be known as one of the frontrunners in cupcake business, it has expanded its line of desserts to also include, among others, specialty cakes. We had our chance to try their Tres Leches Strawberry Cake Cups! 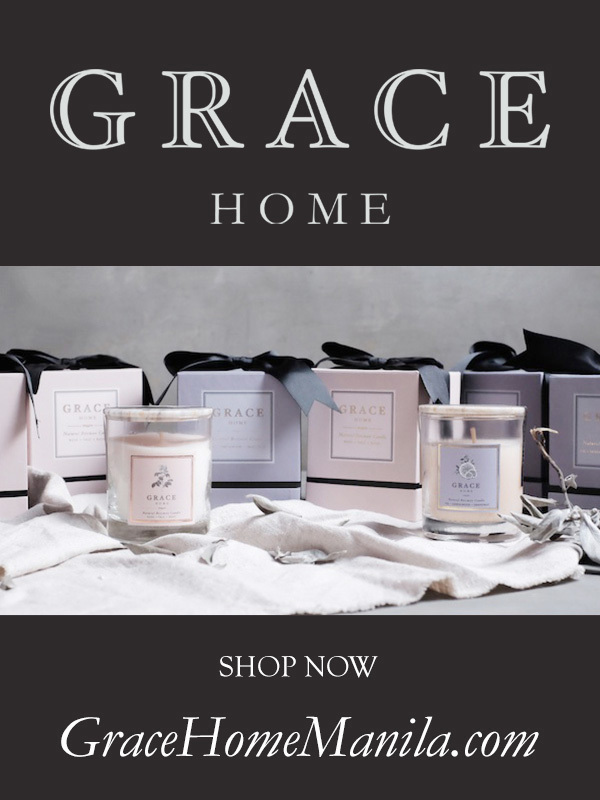 Have your pick: Chocolate-Covered Strawberries Ice Cream (The Spoiled Mummy‘s signature combination) or Orange and Almonds Ice Cream (in honor of Grace Home‘s newest candle). 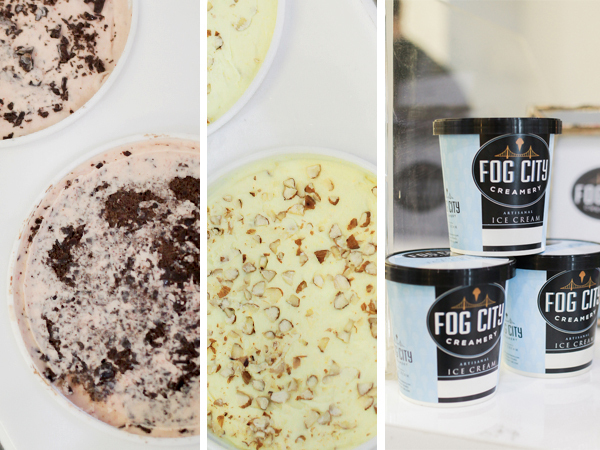 Fog City Creamery‘s artisanal ice cream is made of high quality ingredients and contains absolutely no artificial flavorings nor preservatives. Made in small batches, it uses key simple quality ingredients that yields the greatest depth in flavor. A Mille Crêpes Cake is a decadent, classic French cake consisting of 20 layers of paper thin crepes, each separated with a brush of French pastry cream. The word mille means “a thousand”, implying the many layers of crêpe. 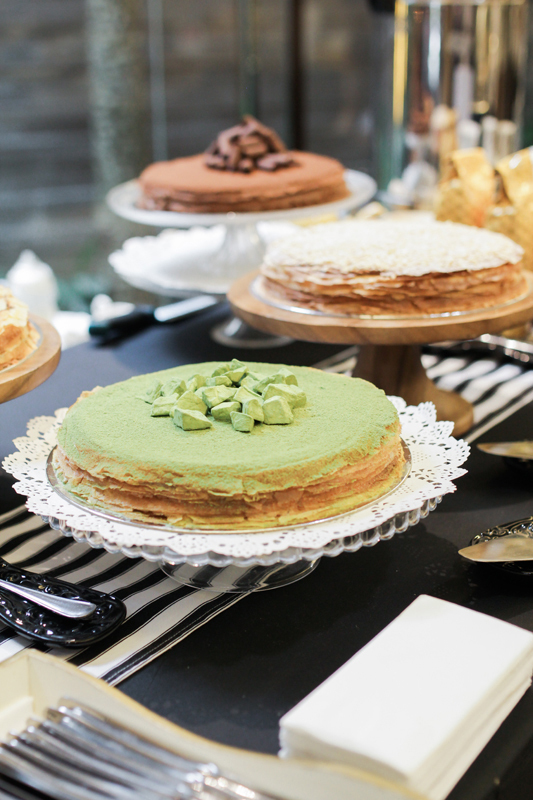 La Creperie serves its Gâteau Mille Crepe in 4 flavors: Salted Butter Caramel, Matcha Green Tea, Chocolate, and French Vanilla. La Creperie and The Spoiled Mummy are old collaborators. Did you know that a couple of years ago, La Creperie added The Spoiled Mummy Crepe on its menu? I’m a coffee girl and I take my coffee seriously. 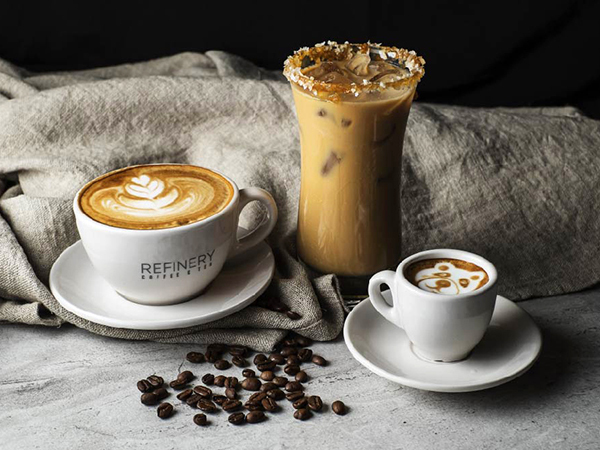 Refinery is one of the best loved coffee spots in town and for good reason — they take pride in creating “inspired beverages,” products of rigour, precision and personal investment. I take my coffee black so I was happy to have been served their premium pour-over coffee. But if you like an extra treat, their bestselling Ice Salted Caramel Latte is a must-try. Of course I had to have The Bald Baker in my list! 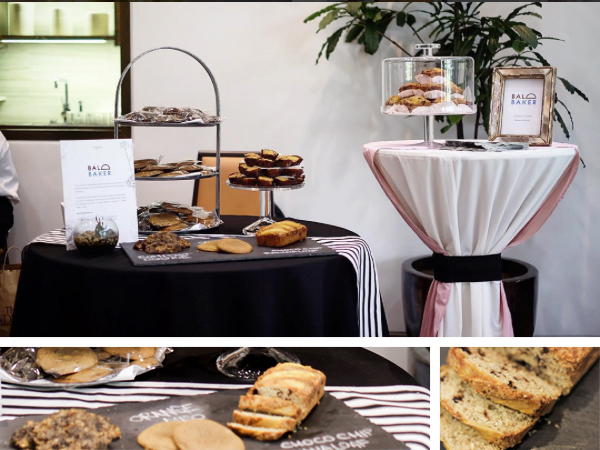 His cookies are sure hits at any gathering, so it was a pleasure to include his special Compost Cookies, Orange Miso & Dark Chocolate Cookies, and Banana Loaf in our dessert showcase. The Bald Baker‘s cookie creations (and other goodies) are all homemade and mixed in small batches. Each item is mixed, shaped, chilled, baked, and packaged by hand. 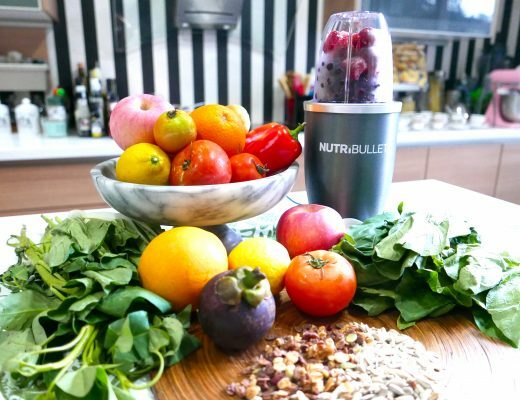 Everything is made to order to ensure freshness. 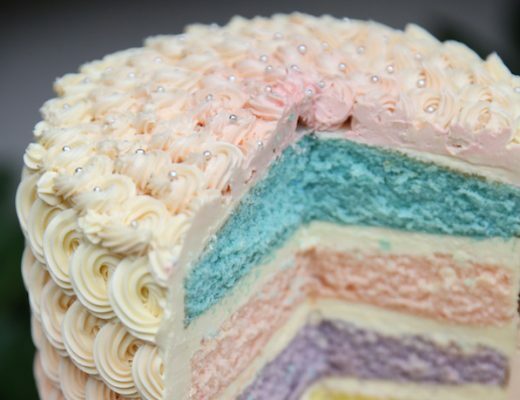 If you want something really eye-catching and beautiful, consider the Ombré Cake and Rainbow Pastel Cake by The Sweet Life by Ange. 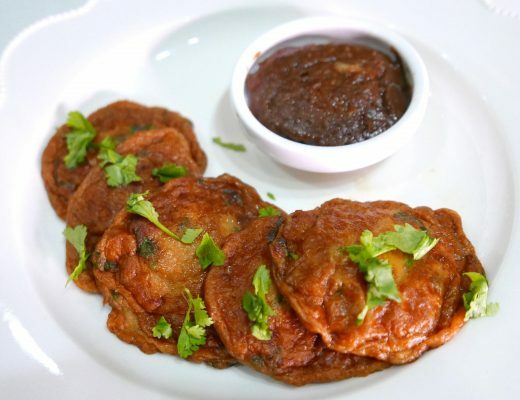 They’re real crowd pleasers and have been included in a couple of best dessert lists. Both feature a vanilla cake with buttercream frosting. I also count on The Sweet Life by Ange for my Chocolate-Dipped Strawberries, my favorite dessert combo of course! You all know how much I love chocolate and strawberries? Can you imagine what it felt to have a cake made taking these into consideration? 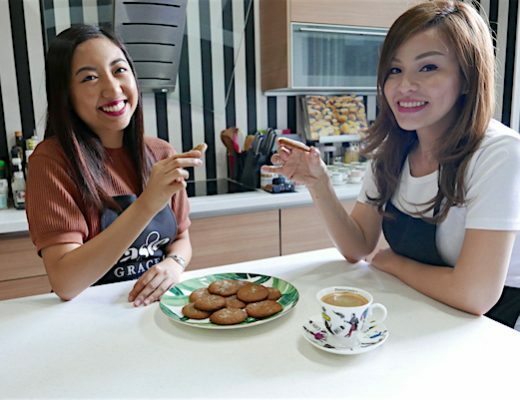 This is what The Flour Girl, Nicole Uy, did to add to the festivities — she created the Grace Home Chocolate Decadence Cake. 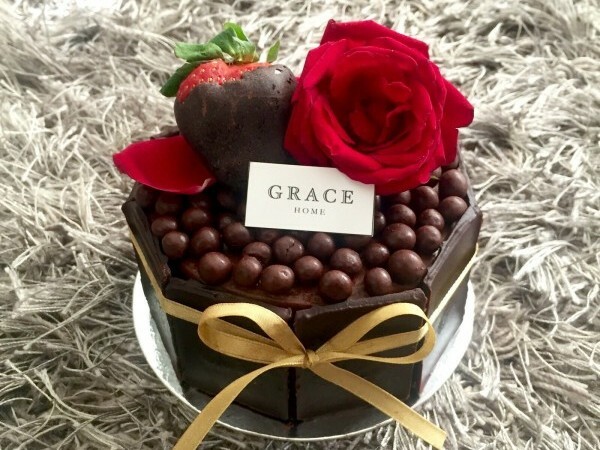 It’s a dark chocolate cake filled with a layer of roasted strawberries and rich dark chocolate mousse ganache, and then decorated with chocolate dipped chocolates, chocolate balls, and fresh roses! 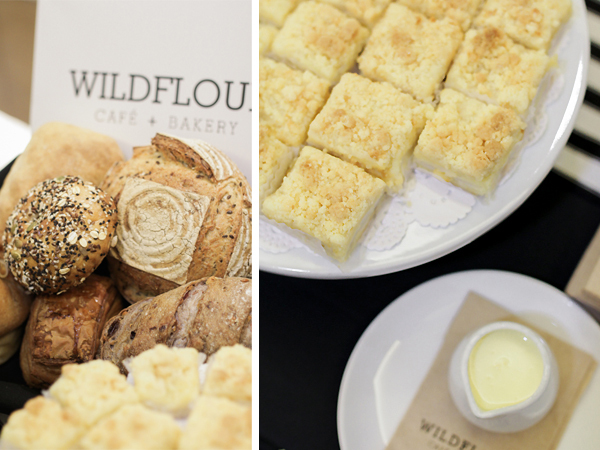 Coconut pie may sound like ordinary fare, but those who know better flocked quickly to Wildflour Cafe + Bakery‘s table for their version of it (bite-sized versions of it, for this event). This coconut pie is drizzled with sweet cream sauce, a recent addition to the menu, and with quite a local following already! 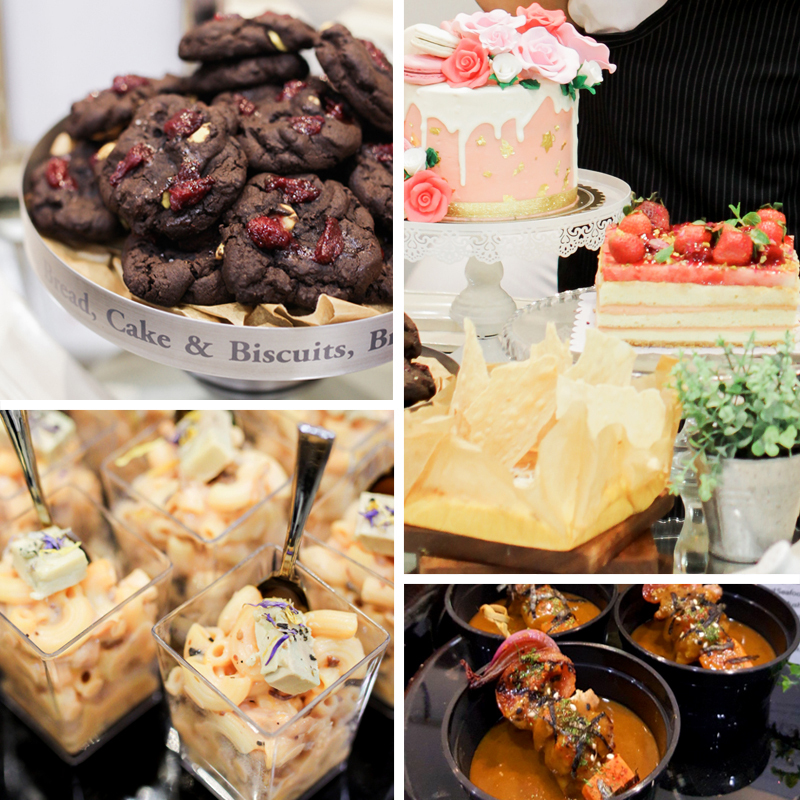 Besides helping facilitate our Cakes and Cocktails demo by Carmela Villegas-Agosta and Erwan Heussaff, Crisp on 28th also served up a table of lovely desserts! 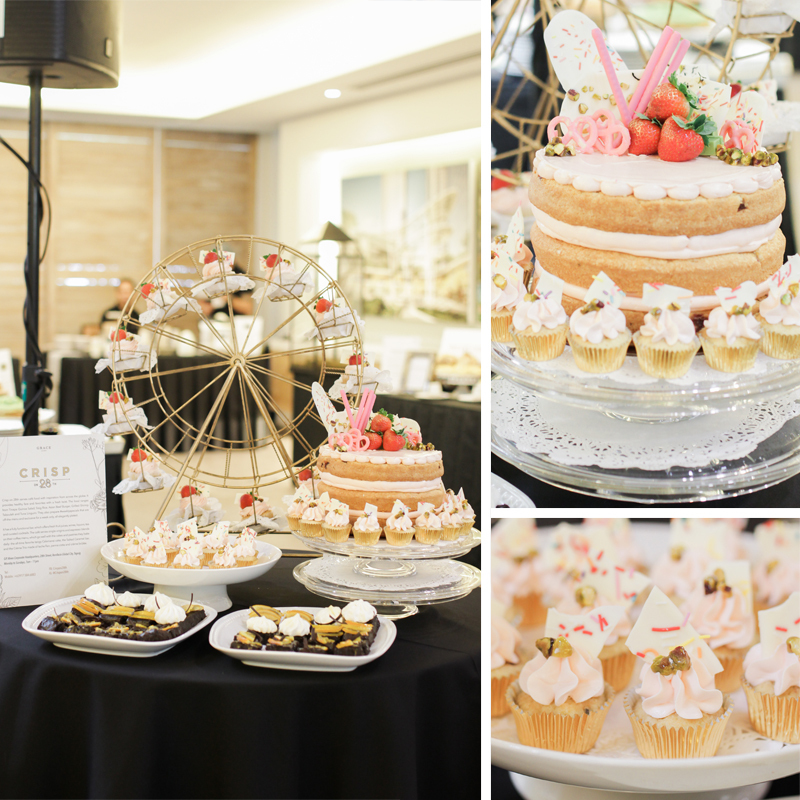 They were gorgeous to look at, even better to bite into: Fudge Cakes with Candied Oranges and Vanilla Strawberry Fairy Cake with Rose Tea (Carmela said that it’s inspired by The Spoiled Mummy!). Crisp on 28th serves cafe food with inspiration from around the globe, single-origin coffee, and cakes and pastries baked daily. I must make a special mention of my flower wall. 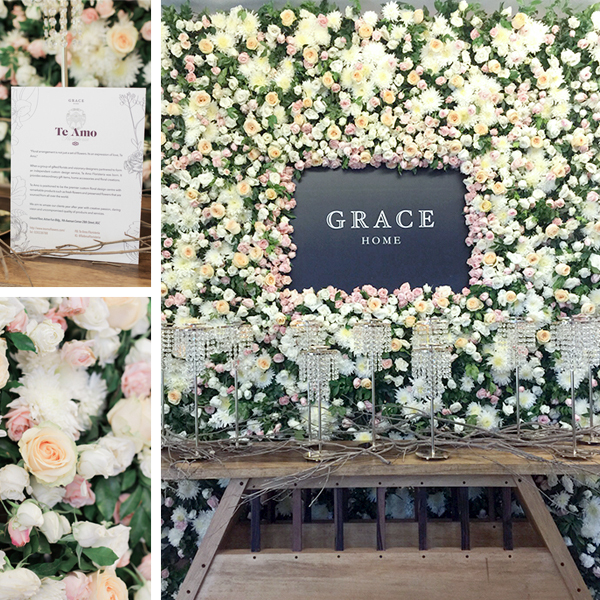 There’s just something about flowers that makes a space more lovely and alive, and a flower wall is a fantastic and elegant way to bring nature in. Te Amo Floristeria Manila created this for the event, gamely agreeing to the idea of going beyond common flower arrangements. Te Amo is a premier flower boutique that offers fresh flower arrangements and delivery and floral design for events and weddings. 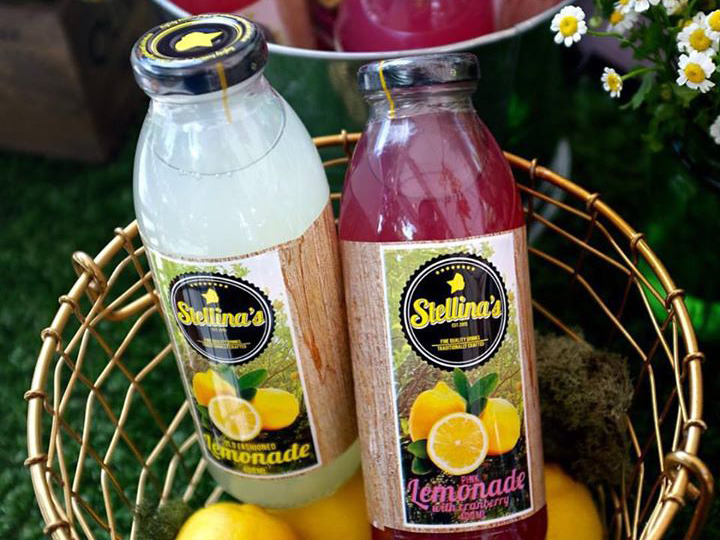 Stellina’s Lemonade is made with real lemons and has the perfect mix of real fruit juices, premium refined cane sugar and pure, clean water. During the event, this was an easy option for the young and the young at heart! 🙂 The bottles are cute too. It has two flavours: Original Lemonade and Pink Lemonade. We also raffled off some delicious chips… something a little less of a guilty pleasure. 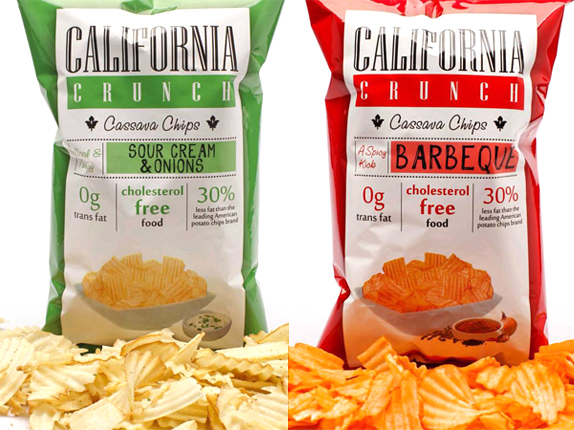 These California Crunch Cassava Chips are a healthy and delicious alternative to potato and flour based snacks — more fiber, less fat, and zero cholesterol! 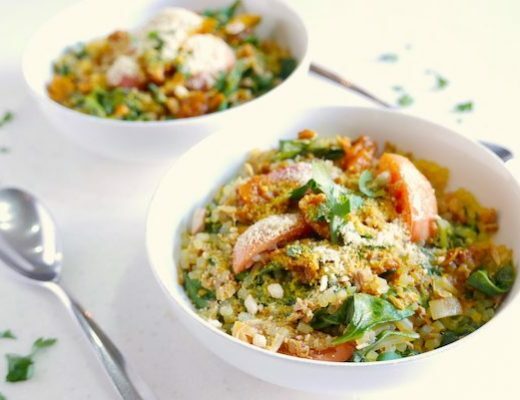 Put them in a pretty bowl and serve!